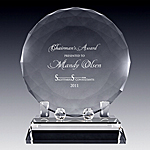 Our crystal award plaque collection offers a wide verity of award shapes and designs. 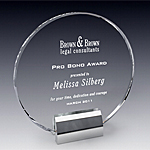 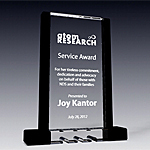 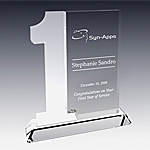 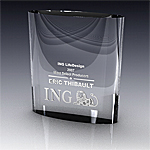 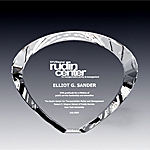 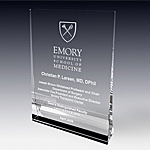 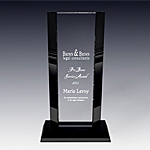 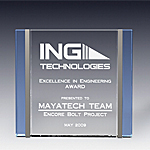 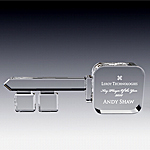 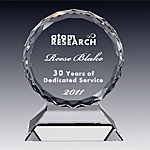 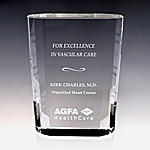 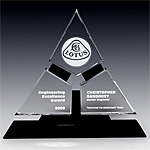 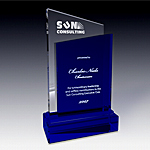 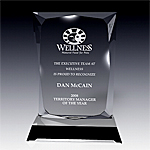 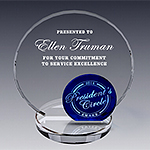 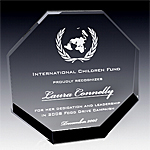 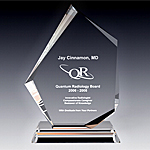 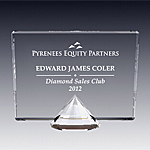 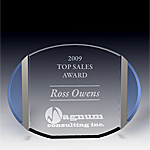 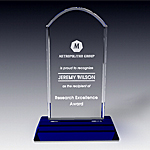 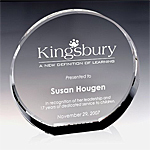 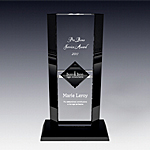 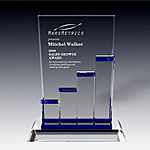 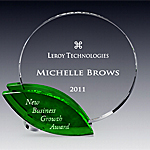 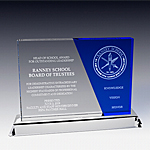 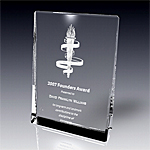 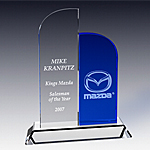 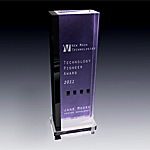 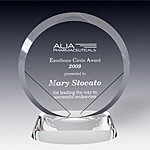 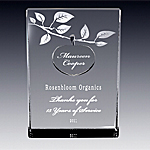 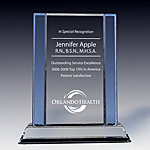 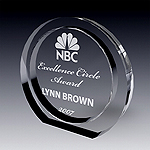 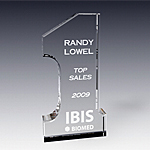 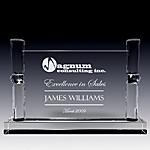 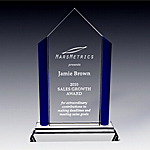 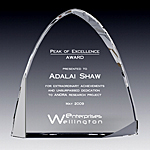 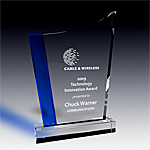 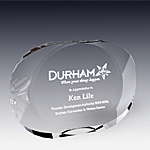 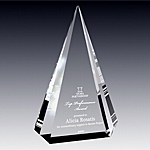 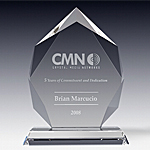 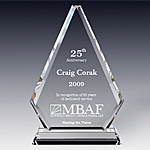 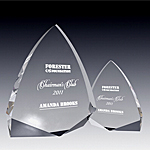 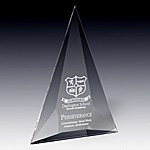 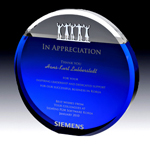 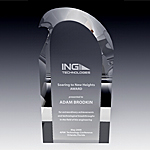 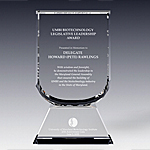 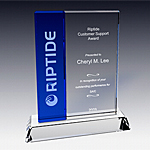 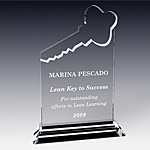 Each crystal award plaque can be personalized with text and logo engraving. 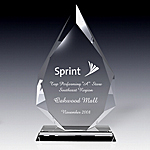 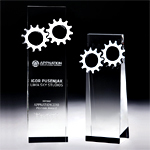 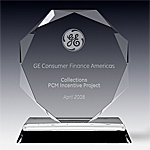 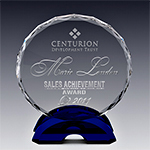 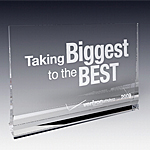 Nothing spells success louder than our crystal award plaques collection. 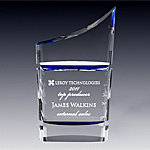 The verity of styles and the pristine clarity of exclusive optic crystal make these crystal awards ideal for recognition and appreciation gifts. 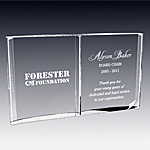 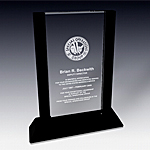 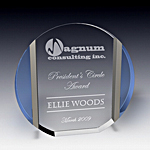 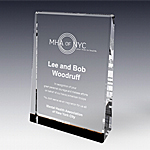 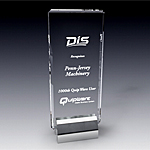 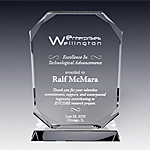 Our crystal award plaques feature generous engraving areas and allow ample space to include a corporate logo and an extensive personalization copy. 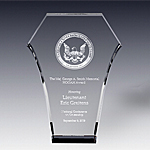 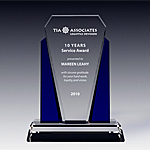 There are many applications for award plaques such as service awards, achievement awards, corporate recognition awards, celebrating years of service or corporate milestones. 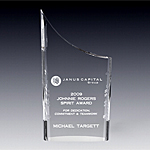 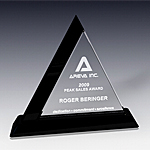 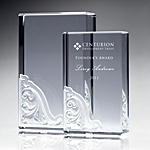 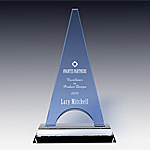 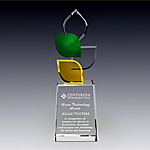 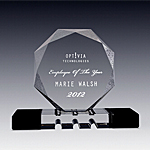 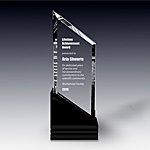 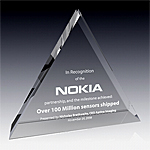 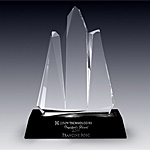 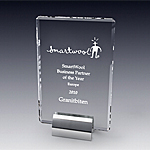 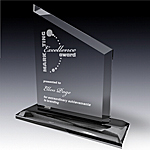 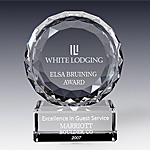 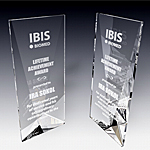 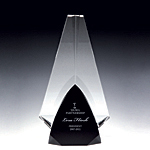 Among the most popular award plaques is the crystal vision award which captivates with its bold and classy design. 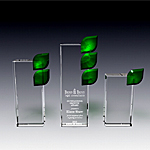 The Stellar Growth Bar award and Stellar Growth Liner award, as well as the New Leaf and New Growth Award, celebrate achievement of personal and professional goals. 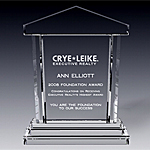 The crystal book award is a perfect token on recognition of academic or literary achievements. 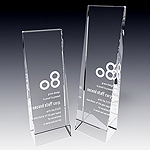 Our majestic octagon award is also quite versatile in its applications and it impresses with a spectacular shine of its crystal facets. 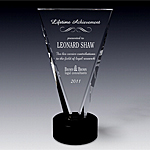 One of our most recent crystal award additions is the Apogee Award, dedicated to successful accomplishments, this award plaque features 3 crystal peaks set a top of a black crystal base. 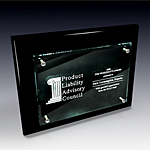 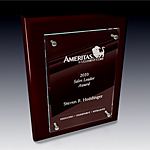 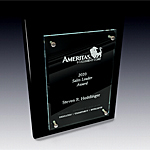 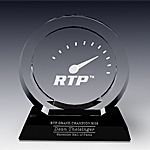 Another customer favorite is the Agency award plaque, designed with a fairly large etching space. 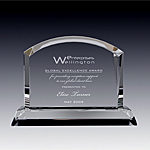 This crystal award draws instant attention with the multitude of crystal facets. 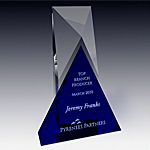 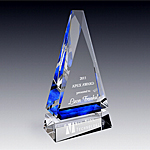 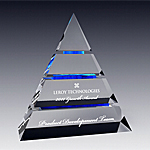 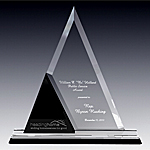 Our tribute to success award designed in a shape of a pyramid, combines clear and blue optic crystal, and represents ascending to the highest peaks of success. 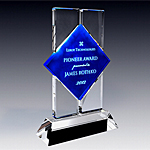 Many crystal awards from our award plaque collection can be classified by different visual shapes, representing triangles, circles, rectangles, squares, ovals and pyramids. 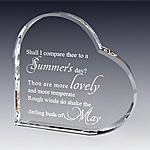 In addition, our crystal artists and designers are constantly engaged in creating new forward designs that captures imagination and attention.